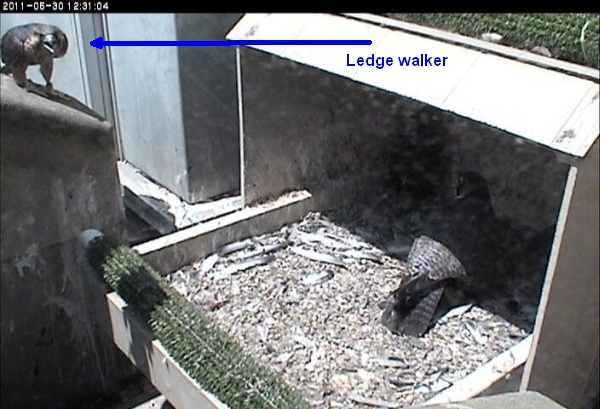 Chicks: What is Ledge Walking? 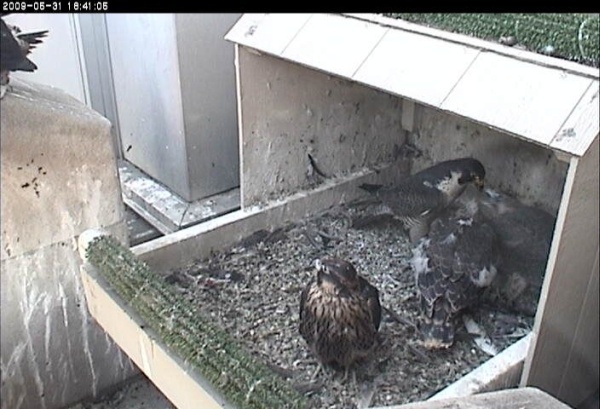 A week (or so) before they fly peregrine falcon nestlings begin to ledge walk and exercise their wings. The amount of ledge walking is highly site dependent. 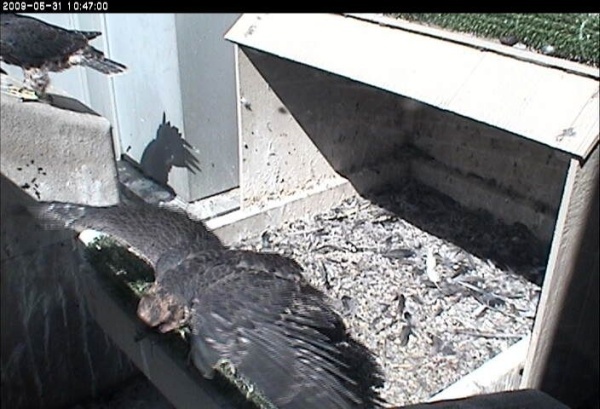 Some sites are have no walkable space so the youngsters merely exercise at the edge of the nest. Other sites have many ledges that the juveniles can reach on foot. When these exist first flight starts from the ledge. The best illustration of ledge walking comes from the Cathedral of Learning snapshot cam. 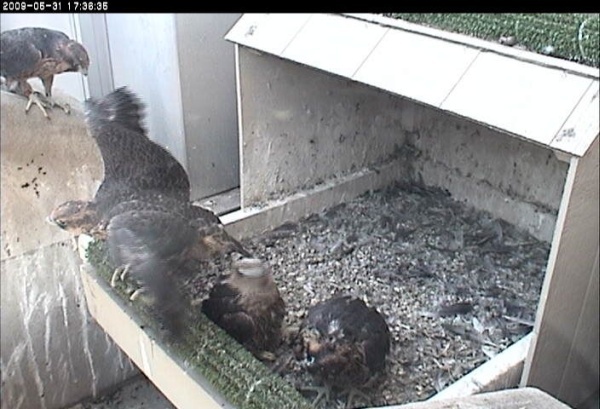 The streaming video camera is too close to show that they walk away. Wow … Thank you . This post and these pictures explain a lot … A LOT.